Have a brooding young musician in your midst? 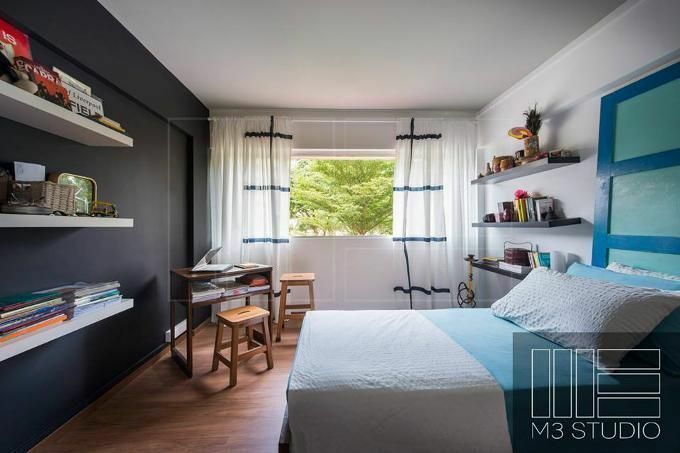 Give in to his or her edgy, moody phase with this black and grey chamber. Who knows? You could be raising the next John Mayer! 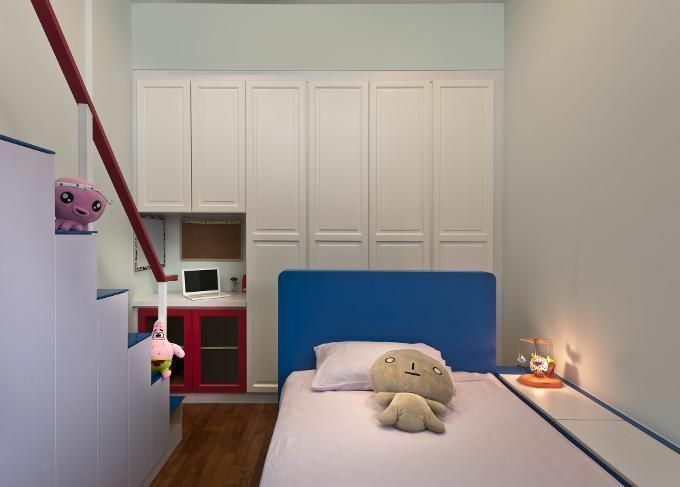 This all-white bedroom with pops of cheery colour is perfect for your little Miss Neat Pick. Got lots of kids and not much space? 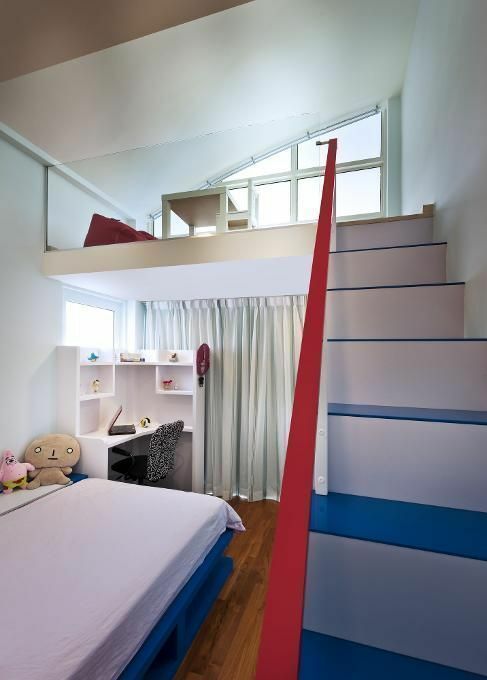 Bunk beds are your saving grace (though these four bunk beds, we imagine, will be a riot!). Two different bedrooms on The Bayshore feature cool artworks to dress up walls. Adolescents will love a fun colour like teal, while a young adult transitioning from college to yuppie life will want something more sophisticated and subtle, like warm grey. Adolescence is a time when teens try to explore their interests. They’ll love the abundance of shelves that will allow them to display all their of-the-moment, um, stuff. 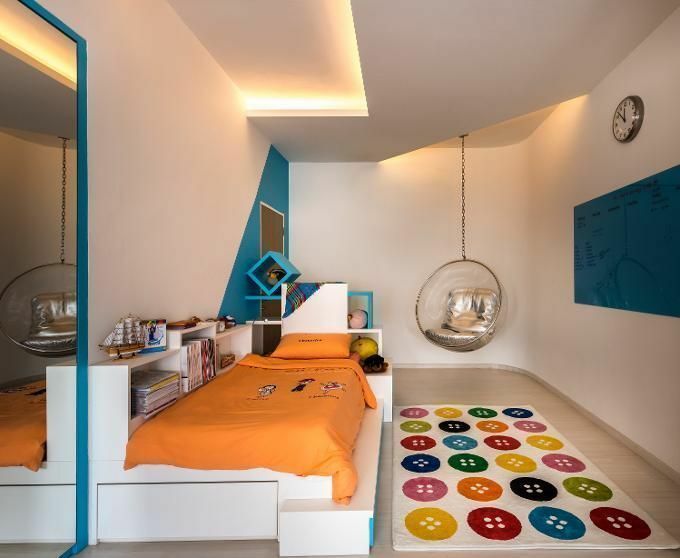 Rigid angles from the bed, mirror, and some portions of the wall painted in geometric blues are balanced out by the round shapes from the crayon-colourful rug and that so-mod swinging pod. 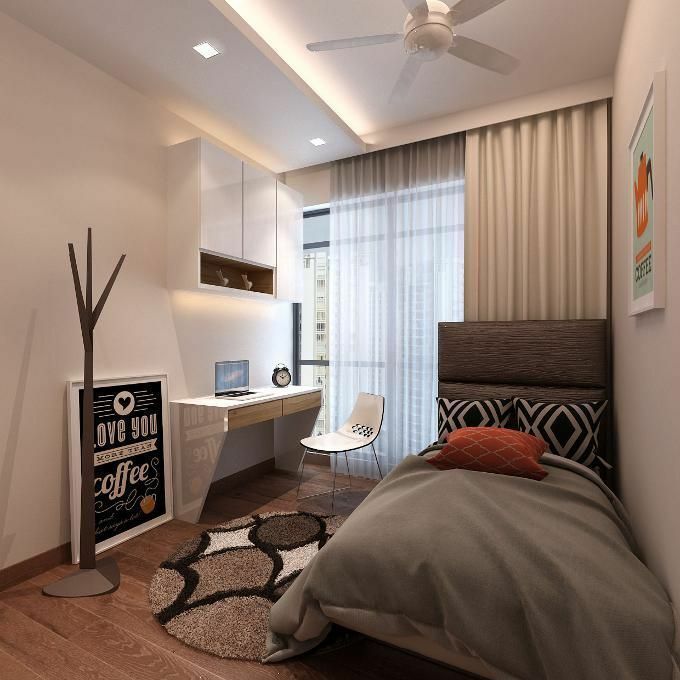 Make use of ceiling height by creating a loft area for your teen—whether for the bed or a study area. Teens love getting their own hideaway spot. 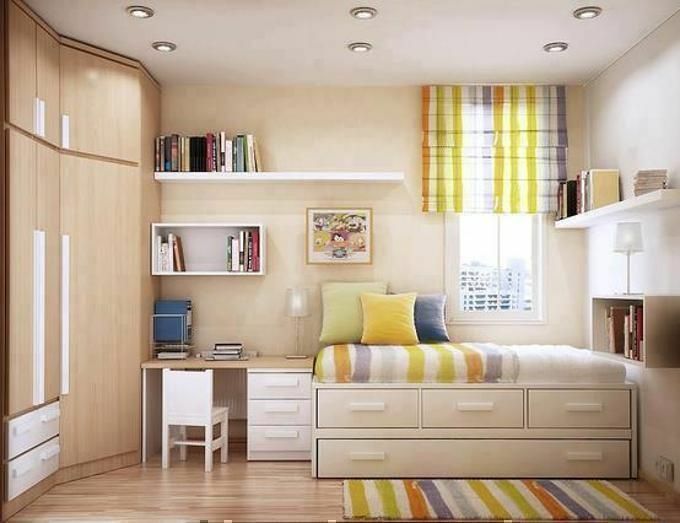 Nix adolescent clutter by providing more than enough closet, drawer, and shelf space for your growing teen. 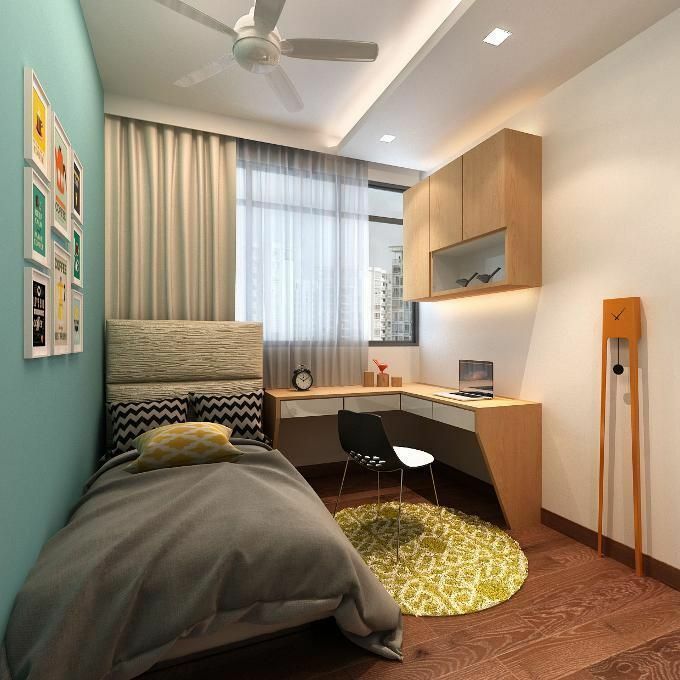 Loving your teens' room as well? Share your photos and tell us more about it. You can email us at hello@cromly.com!